Customers with one of our Multi Domain hosting packages have the ability to host several different domains on them. For the purposes of this article, these packages are referred to as Multi Domain Hosting packages. Once logged in to the Control Panel, click on to Services from the main page menu and select the Domains & Services option. 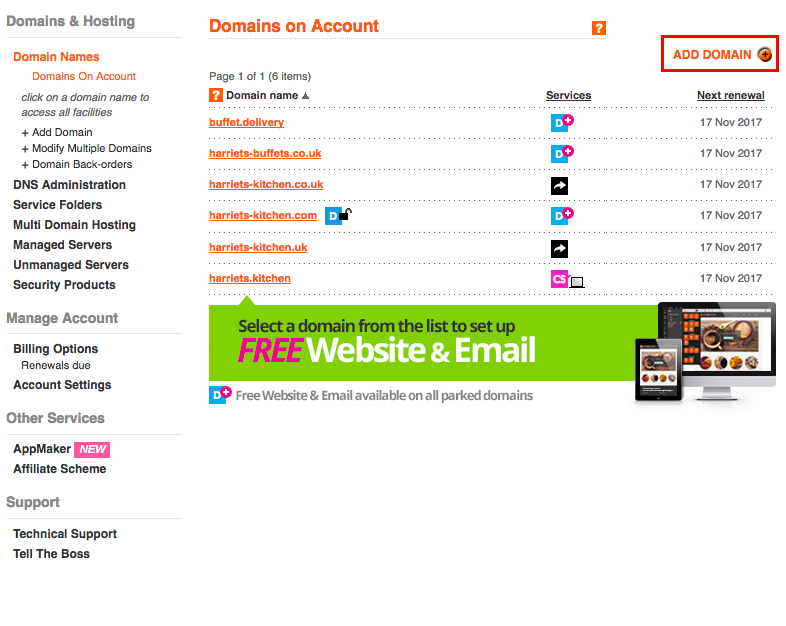 Above the list of domains, to the right of the page, select the Add Domain option. 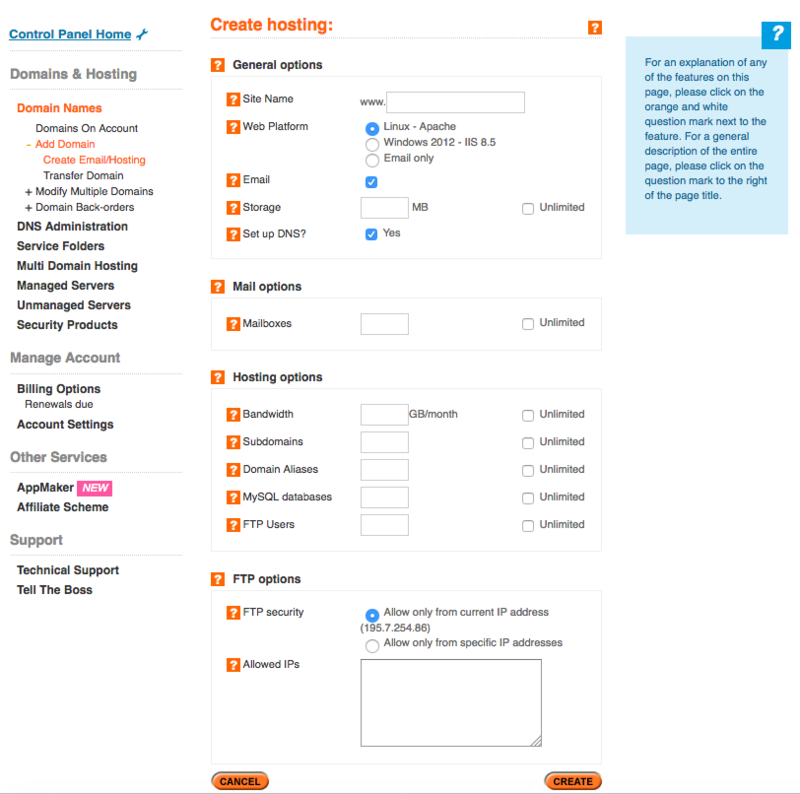 Next, click on the option which states Click here to add hosting. On this page you can configure the hosting for your new domain and have full control over exactly how many resources you would like to make available to it. If you are ever unsure what a particular resource is then you can click on the orange question mark to the left of its name to reveal an information window to the right. For example, clicking on the orange question mark next to IMAP Users will reveal a window that explains what IMAP is and when you would use it. Note- the hosting should take around fifteen to twenty minutes to be setup and you will receive a confirmation email to your registered email address once this has completed. 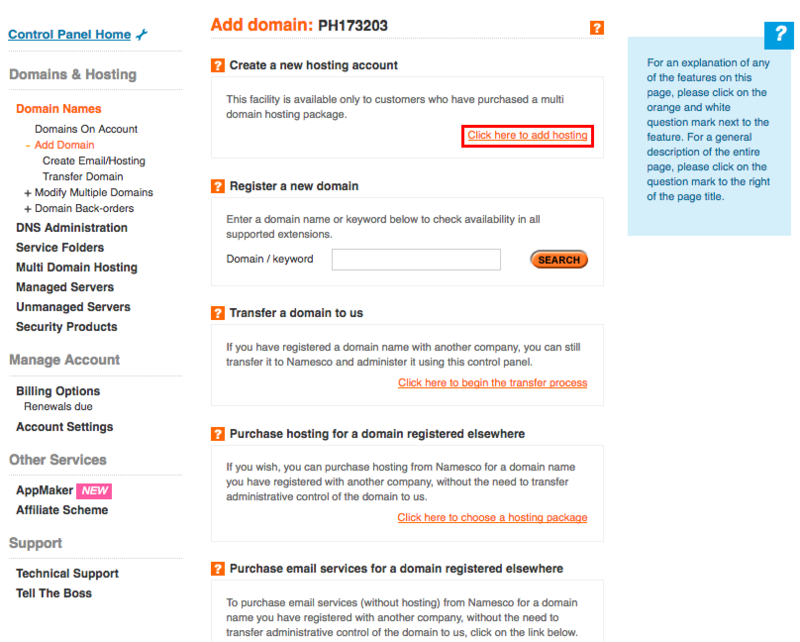 Should you need to remove a domain from your Multi Domain Hosting package then this article explains that process.